Nordea Bank Denmark is ending its support for Swipp, the mobile payment joint venture it formed alongside other Danish banks in 2014, by deciding to “join a partnership” to develop Danske Bank’s MobilePay platform. With the new partnership, Nordea will leave the Swipp collaboration and will instead invest in the further development of MobilePay, which has more than 3.2m registered users and more than 35,000 business customers in Denmark and Norway. “At first, Nordea’s personal customers will not experience any changes, whereas business customers who do not already have a MobilePay agreement will soon receive an offer to switch from their existing Swipp agreement to MobilePay,” Nordea says. “For the time being, Swipp agreements for business customers will remain in effect. Other banks in Denmark, Norway and Finland are also expected to join the partnership. As a result, Danske Bank will begin converting MobilePay to a subsidiary, and MobilePay will no longer be branded as “by Danske Bank”. MobilePay is also seeking to enter into a partnership with Sweden’s Swish mobile payments platform to let Nordic users make payments between the two services. 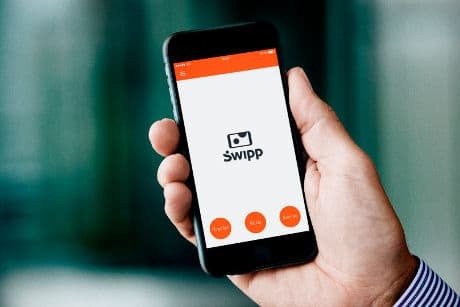 Swipp was formed by Nordea Bank Denmark, Nykredit Bank, Sydbank, Jyske Bank, Arbejdernes Landsbank, Spar Nord Bank and members of local banks in 2014, and went on to acquire Paii — the mobile payments joint venture created by Danish mobile network operators — in November 2014 to create a single service for in-store and online payments as well as money transfers. MobilePay enables peer-to-peer money transfers and mobile purchases in-store and online. It is the market leader in the Nordic countries and is expected to reach more than 180m transactions and a volume of DKK 40bn (US$5.91bn) in 2016, according to Nordea, with almost 25% of the transactions made in shops and businesses.